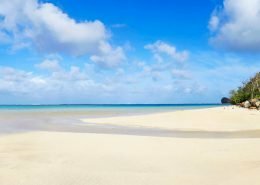 Ideally positioned on an expansive white sandy beach and surreal turquoise lagoon on the western sunset coast of Rarotonga. 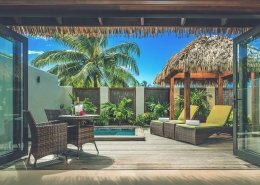 Comprising of Beachfront Villas, Garden/Poolside Villas, and Courtyard Pool Suites, all rooms are styled with modern Polynesian décor. 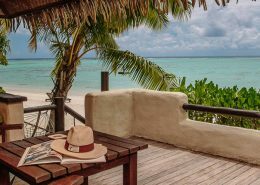 Spend your time snorkelling in the crystal clear lagoon, indulge in a relaxing spa treatment or enjoy a romantic candlelit dinner on the beach with the sand between your toes. Catering to adults only, Crown Beach is the ideal holiday destination to spend some quality time with someone special. 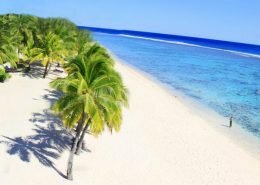 The Resort & Spa is located on the sheltered sunset coast of Rarotonga where 5 acres of manicured botanical gardens meet an endless beach that’s set on a sparkling turquoise lagoon. 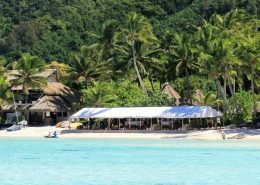 Only 10 minutes from Rarotonga International Airport and a further 15 minutes to downtown Avarua, the sunset coast position presents a host of dining options and excursions for our guests. We recommend the Courtyard Pool Suites surrounded by high stone walls, tropical gardens, private swimming pool and an outdoor dining gazebo surround a large open courtyard. Valid for travel 01 April 2019 to 31 March 2020 (high-season surcharges apply). Sale to 31 March 2019. We loved this hotel. The staff were very friendly and helpful, our courtyard pool suite was beautiful and we loved having a private space and our own pool. I would highly recommend the courtyard pool suite. It was great having a good snorkelling spot right there and fun for kayaking too. Crown Beach Resort package deal including breakfast daily plus plenty more. Rather tempting. *Terms & conditions apply: Valid for travel 01 April 2019 to 31 March 2020. High season surcharges apply. Sale to 31 March 2019. Prices shown are a guide only, based on low season availability & subject to change. Price per adult, twin share based on Air New Zealand sale fare, valid for new bookings only. Airfare prices will alter depending on travel dates. Other conditions may apply.